By Brian Voo in Internet. Updated on November 29, 2018 . There is a particular limitation to file-sharing tools and cloud storage services that is a setback – they do not support the viewing of different file types (formats) on their website. This is particularly a problem with files which require Adobe series, Microsoft Office or other applications to preview. Alternatively, you will have to download the file without a preview. 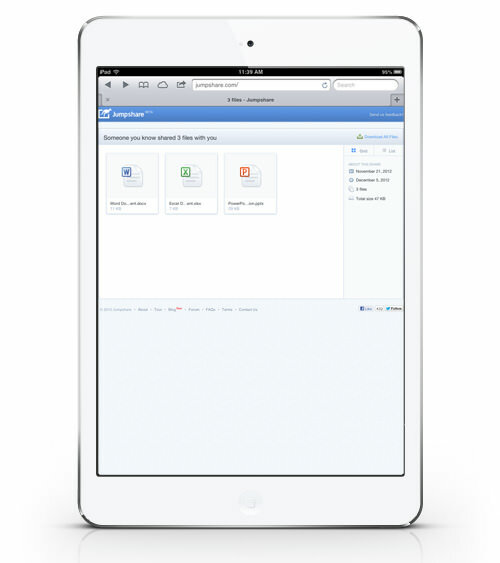 With Jumpshare however, you can view over 200 files on an ordinary web browser. What’s cooler is that you can view all these files on the mobile browser, iOS and Android. At this moment, there are no user accounts available which means you do not have to register in order to use the Jumpshare service. 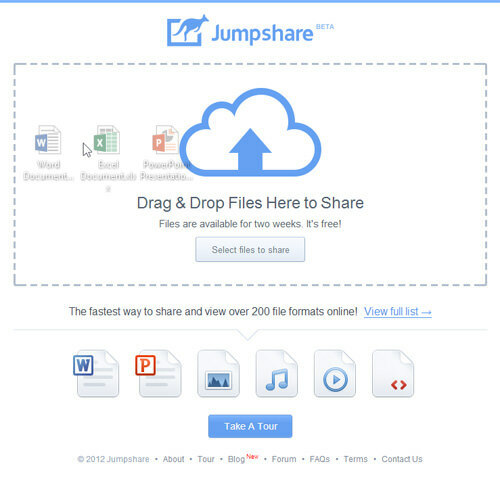 It is really simple to start, just head over to the Jumpshare website to start uploading your files. At the main page, you’ll be greeted with an uploading box where you can drag and drop more than 1 file. You’ll then be redirected to a unique link where you can see the files that you have uploaded then share this link by email, Facebook, Twitter or Google Plus. You can press the Upload button at the top to upload more files to this unique link. With that provided link, anyone with access to it can download, open and view the contents of the supported file type with a desktop or mobile web browser. Jumpshare supports browser-based previews for over 200 file formats including PSD (Photoshop Data File) files. 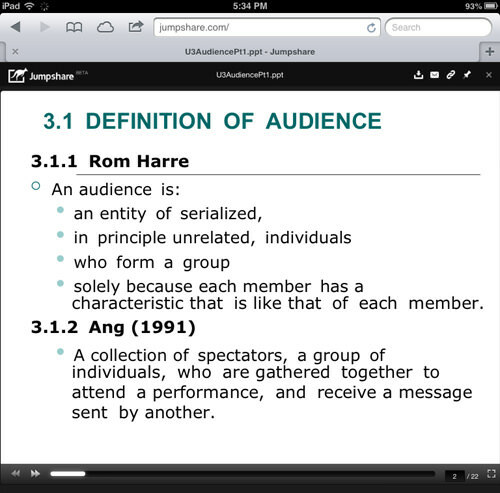 You can also view presentation files like PPT, PPTX and other office documents. It also supports multiple Audio filetypes (MP3, MP2, WMA, WAV, AAC, FLAC), Video filetypes (MP4, MOV, AVI, WMV, MPEG) and tons of Image filetypes. Jumpshare is still in the Beta stages which is why you cannot create a user account to manage your uploaded files. 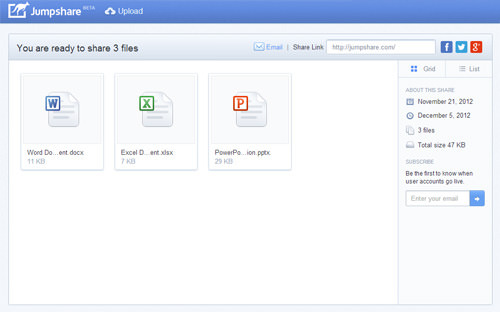 Because files cannot be managed by a user account, anyone who has access to the unique link can download or view whatever important files you have uploaded onto Jumpshare. Uploaded files must be less than 100MB and will remain on the unique link only for 2 weeks from the day you uploaded it. During this time, there is no way to retrieve this unique link if you happen to misplace it but once the 2 weeks are over, your files will be deleted from the site. 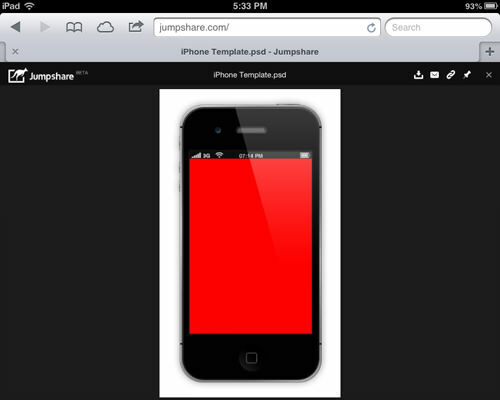 Jumpshare is a handy website for people who want to present a file through a web browser without having to install a specific program to view the file. However, be wary that whoever has access to this unique link can view and download the uploaded file. Other than that fact, the big number of files that Jumpshare supports makes it a unique file-sharing website.